This past weekend was molto fantastico with the champion Andy Hampsten and his guests from Cinghiale Cycling Tours beginning their 10 day Italian tour at Hotel Il Perlo with the assistance of ComoLagoBike. 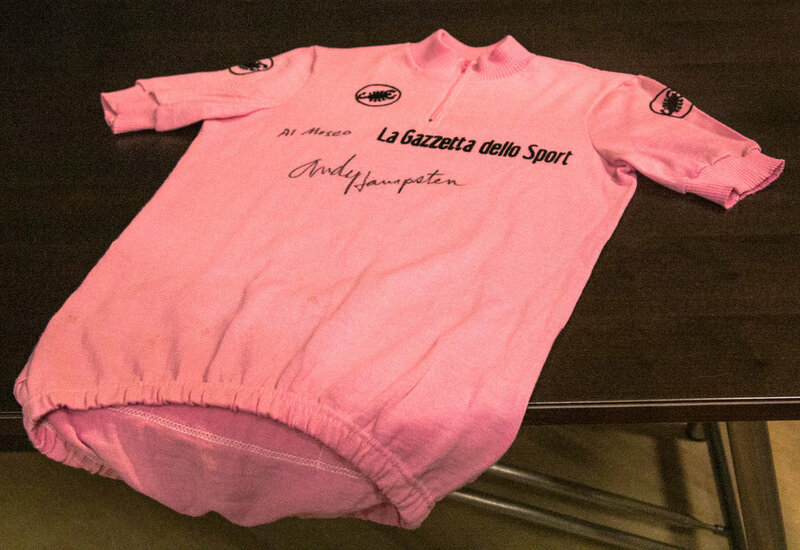 On Friday evening at the Museo del Ciclismo Ghisallo Andy discussed his 1988 Giro d'Italia win and the famous Gavia stage in fluent Italian then presented his Maglia Rosa to the museum for their collection. The next time you are in Lake Como be sure to visit the museum and see this wonderful addition that continues to make their collection the largest in the world. On the beautiful patio of Hotel Il Perlo overlooking the lake we celebrated the group's first days in Italy by sharing a tasting of our favorite Moser Trento wines (Brut Nature and Muller Thurgau) and local Rivetti & Lauro (2014 Sotamà). Grazie mille to Andy, Elaine, Gerardo and all the new friends that we made for staying with us. Buona pedalata!